Remaking one of the most influential horror films is a tall order but director Luca Guadagnino would much rather call it a reimagining of a beloved property that left quite the impression on him. Though staying true to the meat of the original story, Guadagnino throws his own spin on the concept by turning the reimagining into an arthouse epic at a lengthy 152 minutes. Almost an hour longer than Argento’s classic, the 2018 version bleakly addresses the political climate of 1970s Germany and does so effectively with the pale, desolate color palette. The dance routines are hypnotic as Guadagnino and co. let the routine play out in its entirety, entrancing viewers with the choreography, production design, and costumes. The cast is led by Dakota Johnson as Susie Bannion, the dance prodigy who makes her presence known in the prestigious dance academy. She continues her strong 2018 after a scene stealing role in Bad Times at the El Royale and her leading role in the hit Fifty Shades franchise finale. Tilda Swinton offers up a trifecta of fascinatingly bizarre performances that only furthers her resume and proves she’s one of the most diverse performers working today. 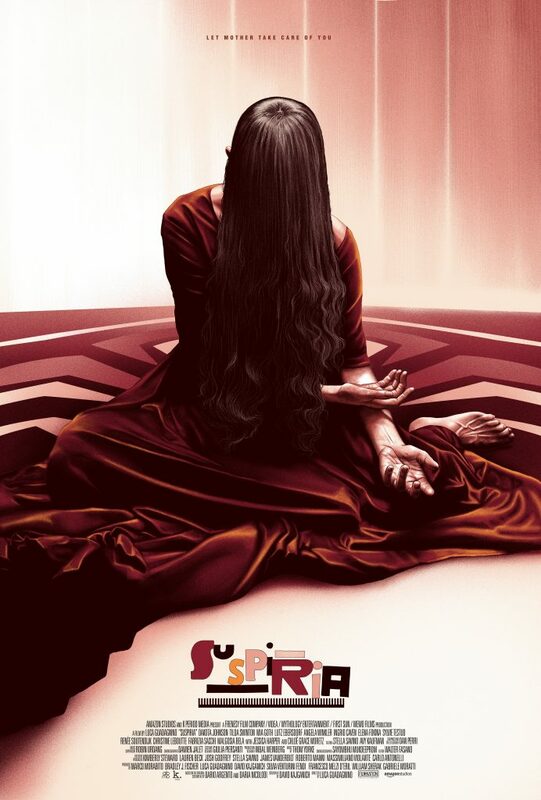 The new Suspiria gives more answers than its predecessor but still manages to surprise with its deranged final act. Leading up to its final minutes the films minimal atmosphere can be felt as the lengthy runtime creeps in. That all changes when the film fully embraces the weird. The horror is done tastefully as each shot is well composed and disturbing. Suspiria is at its best when it’s trying to separate itself from the 1977 classic, allowing Johnson and Swinton to spar against one another. Guadagnino is able to get the best of both worlds by paying homage to the original while still maintaining its own unique story and tone. It’s an ambitiously full story that at times overstays its welcome but still manages to drop the jaws of its viewers with gruesome body horror and unhinged supernatural entities.